We have been picking a lot of blueberries the past few weeks. Tuesday a friend let us use her juicer and we came home with 8 quarts of thick blueberry juice. The next day we started making jelly. Yummy! I just had a big spoonful on a slice of homemade bread. Today we went out for a long anticipated family trip to the movies. A late birthday treat for my son, we all watched the new Cars II movie together. I have read only negative reviews, but found it to be pretty much what I expected. There was more action and included foreign settings a spy theme with good versus bad. Joseph especially enjoyed it. The only thing I didn't like was the name of the alternative oil- olenol (misspelled, I'm sure), pronounced "all in all." We also stopped by the fruit stand and found a variety of fresh produce. Since we got home we have made a few different fruit and veggie juice combos to drink, juiced more than enough blueberries (picked this morning) for another batch of jelly, made vegetable soup, and added juice and pulp to shepherd's pie for supper. 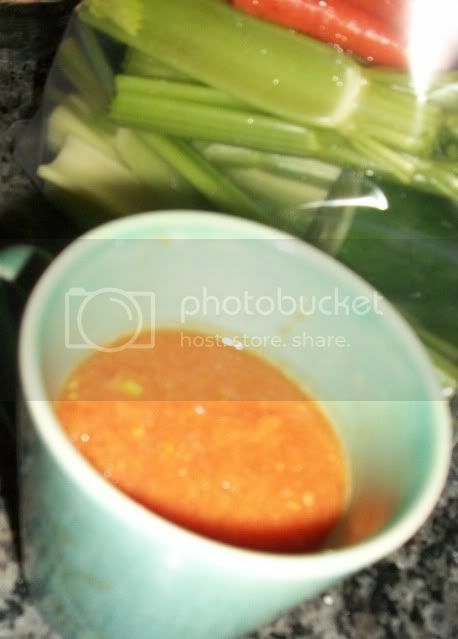 I started this with the celery; I'll let you know if it really works. I'm the only one that liked the soup. 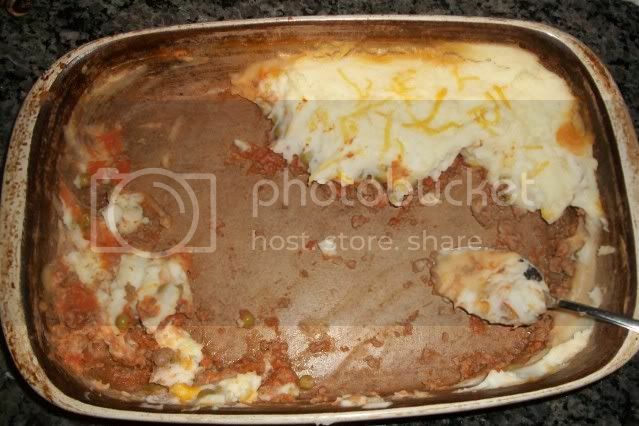 The shepherd's pie, however, was a big hit with the whole family. I love the juicer! If only fruit and veggies weren't so expensive where I am...eh, well! I have the Jack Lalane juicer too! It is awesome! I haven't been using it much since I got my Blendtec though, but it is a good one. You will love your juicer! I am obsessed with mine!! Blossom have you tried anything lately? Pineapples are 99 cents here now and they make so much sweet juice. Blessed Mamma, I had to look up Blendtec. WOW! Michelle, I do too. Share your favorite things to juice.